Katie Paterson (b. 1981, Glasgow, GB) is widely regarded as one of the most talented artists of her generation. At the heart of her practice is the examination of the relationship of human beings to the universe in terms of both time and space. Focusing on the themes of ecology, geology and cosmology, underpinned by collaborations with leading scientists as well as writers, astronomers, nanotechnologists and musicians, Paterson employs a conceptual approach to the poetic treatment of existential ideas. Her work includes a map documenting the locations of 27,000 dead stars known to humanity; a meteorite that has been cast, melted, re-cast and launched back into space; a string of fossils, individually selected from all corners of the globe and then carved into spherical beads; a perfumed candle based on information from astronauts concerning the smells emanating from planets and space; and a haunting recording of Beethoven’s Moonlight Sonata reflected from the moon’s surface via radio transmission. 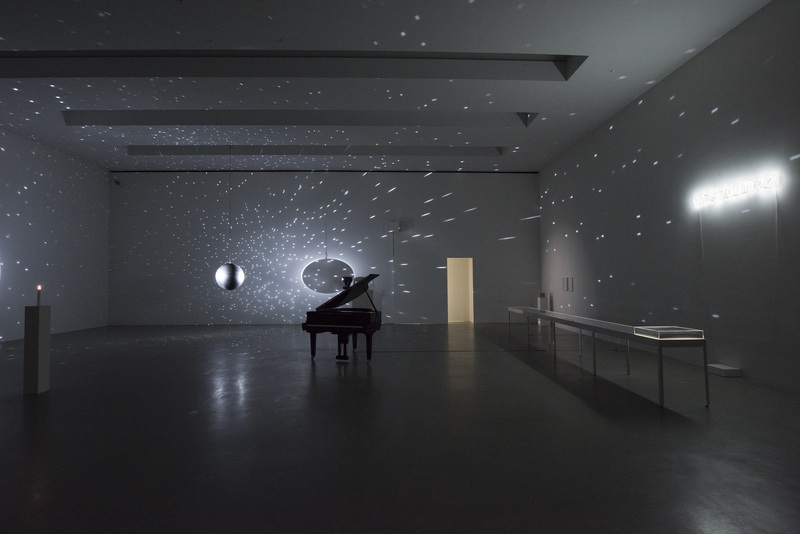 Katie Paterson‘s largest solo exhibition to date, her presentation at Art Centre Pasquart will include the major works of her ten year career, as well as several new pieces made in 2016. 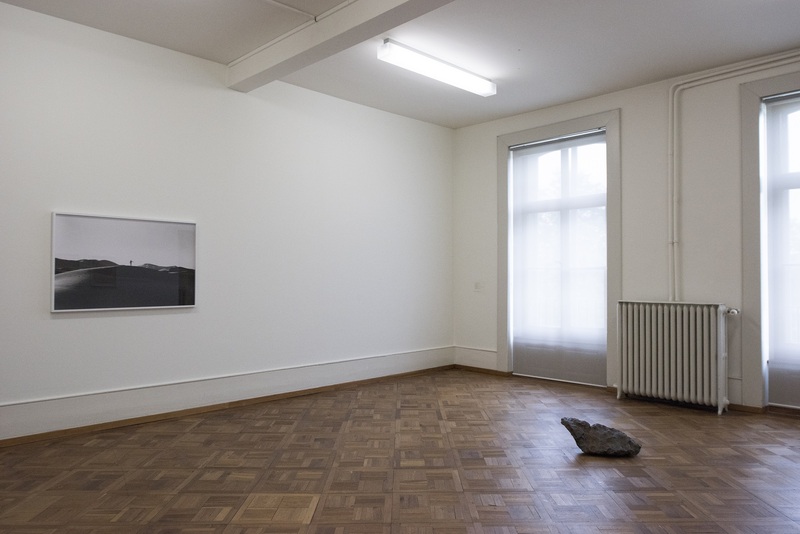 The exhibition is loosely divided between those works by Katie Paterson which relate to the earth, displayed in Parkett 2, and those concerning the universe, shown in the Salle Poma. The vitrine in the corridor of Parkett 2 presents The Dying Star Letters, 2011. For one year, each time Paterson received news of a star dying, she sent a letter referring to this event to the cosmologist, Professor Richard Ellis. The resulting series of obituary letters traces the perpetual movement of the universe, whilst personalising events generally unknown to humanity. 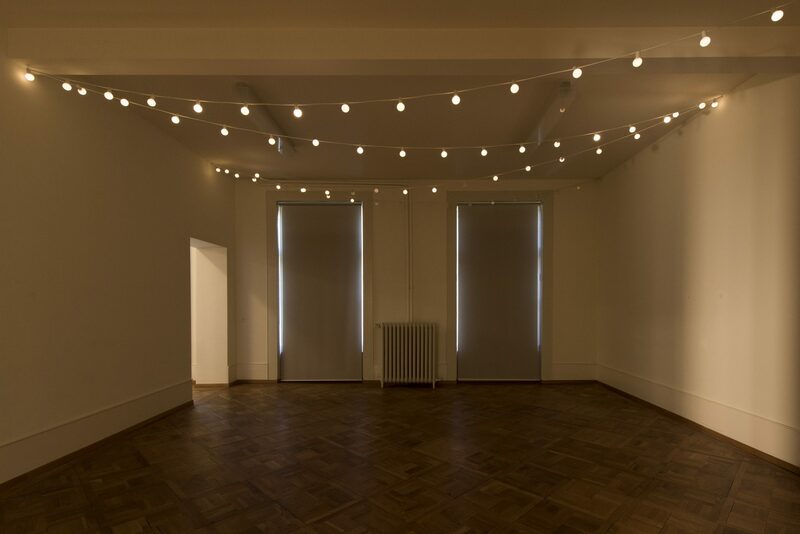 The presentation continues with Ara, 2016, a string of festoon lights in which each bulb is wired to produce a luminosity relative to the brightness of each star in the constellation of Ara, as viewed from earth. In Timepieces (Solar System), 2014 each clock represents the number of hours that must pass before each planet in our solar system experiences a full day. From the shortest days on Jupiter to the longest on Mercury, the artist takes us into different time zones and by extension into the range of diurnal experiences of entities on other planets. Paterson’s concern for the environment is implicit in works made in Iceland. For Langjökull, Snaefellsjökull, Solheimajökull, 2007 the sounds of the three glaciers were recorded and their melted water frozen into moulds of a record pressed with audio. The three video recordings combine the gurgles, drips and gushes, added to by the rasps of the needle on the ice records. 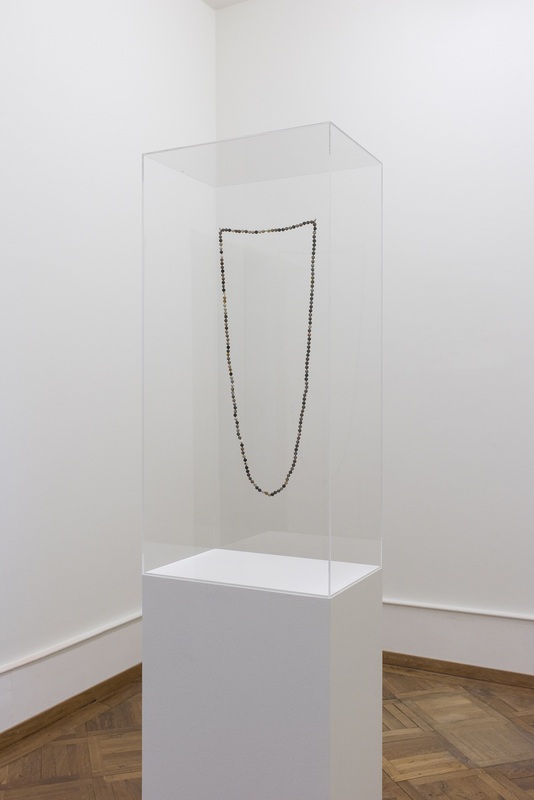 Fossil Necklace, 2013 is a string of worlds, with each bead representing a major event in the evolution of life through a vast expanse of geological time. From the mono-cellular origins of life on earth to the shifting of the continents, the extinction of the Cretaceous period triggered by a falling meteorite and the first flowering of flowers, it charts the development of our species and affirms our intimate connection to the evolution of those alongside us. Ecological urgency has also inspired Future Library, 2014-2114. A forest has been planted in Norway to supply paper for a special anthology of books, with one text written every year until 2114, when the full set will be published. These certificates, made from the trees from the forest, entitle the owner to one full set of the anthology in 100 years’ time. The perception of time passing is similarly the subject of As the World Turns, 2010, consisting of a record of Vivaldi’s Four Seasons played at the speed with which the earth turns in 24 hours. As four years are needed to hear the record from start to finish, the visualisation of its movement is rendered impossible. Shown in the same space, the photographic work Inside the Desert, 2010, conjures the magnitude of both time and space. Paterson removed a grain of sand from the Sahara Desert and, in cooperation with nanotechnologists, had it sculpted into 0.00005 mm, the smallest dimension possible. The photograph depicts the artist in the act of returning the reduced grain of sand to the desert. This humble gesture of giving back to nature that which belongs to it is one of the themes of the meteorite Campo del Cielo, 2012 – 2014. This meteorite was cast, melted and re-cast back into a new version of itself, collapsing time, space, pressure and erosion to create a new but ancient form. A smaller version of this artwork was launched back into space by the European Space Agency. The vastness and mystery of the universe are expressed in different ways through the work shown in the Salle Poma, appealing to various senses as well as to our imagination. 100 Billion Suns, 2011 represents Gamma-ray bursts (GRBs), super-explosive events in distant galaxies that can burn as brightly as 100 billion suns. Confetti is colour-matched to each of the 3216 GRBs and released regularly during the exhibition by a confetti canon. A new piece made especially for the exhibition in Biel, Colour Field, 2016 is a photographic image whose fake colours have been removed, rendering it black and white, and then re-tinted with real life colours on earth. Here, the colours from the cityscape of Los Angeles becomes merged with the stellar landscape of the Milky Way. Another form of simulation informs Candle (from Earth into a Black Hole), 2015. Paterson used information from astronauts and others concerning the smells emanating from planets and space to create her own descriptions and had these transformed by a biochemist into a perfumed candle. The candle sends the observer on an olfactory voyage from earth via clouds and atmospheric strata to the moon and the planets. History of Darkness, 2010 (ongoing) consists of 2200 slides documenting levels of darkness throughout the universe, as recorded at different times and places over billions of years. All the Dead Stars, 2009 documents the original locations of the almost 27’000 dead stars that have been recorded and observed by humankind. Vatnajökull (the Sound of) Archive, 2007 was made by submerging a microphone in the earth’s largest ice cap, which is melting under the pressures of climate change. A telephone number invited visitors to call up and listen live to the sounds of the melting ice. 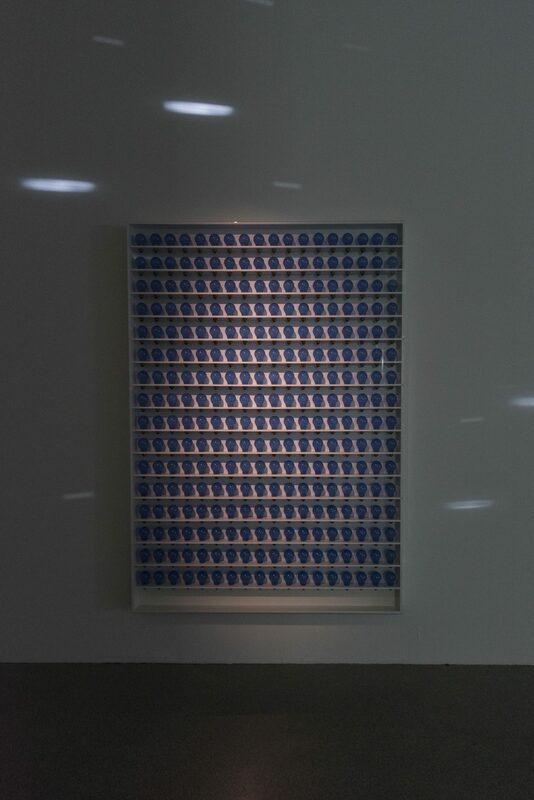 This presentation is an archive of the live artwork.Light Bulb to Simulate Moonlight, 2008, reproducing a full moon, is accompanied by a cabinet displaying 289 bulbs, each providing enough light to last the average life of a human being (66 years). 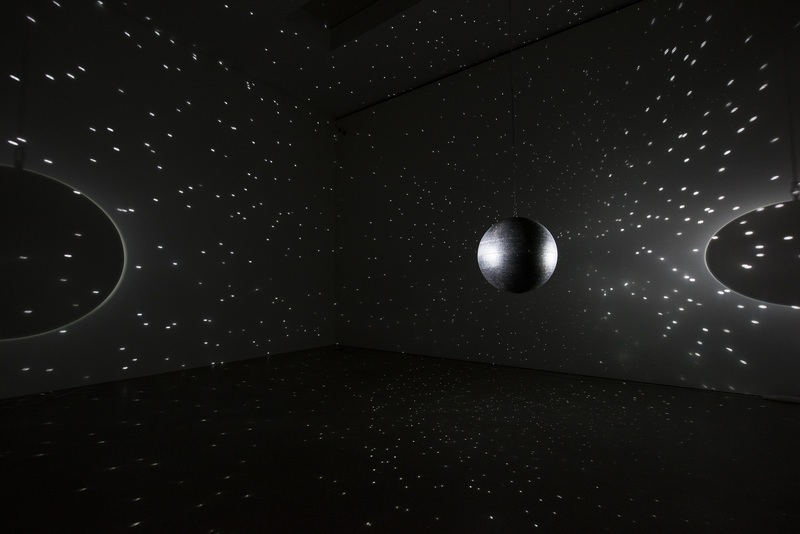 In juxtaposition with the static lunar fragment of Second Moon, 2013 – 2014 – a work in which a piece of the moon which was posted around the earth for one year – the magnitude of Earth-Moon-Earth (Moonlight Sonata Reflected from the Surface of the Moon), 2007 is monumental. Beethoven’s Moonlight Sonata was transmitted to the moon and back by Morse code, with elements of information becoming lost in the shadows of the moon’s craters. 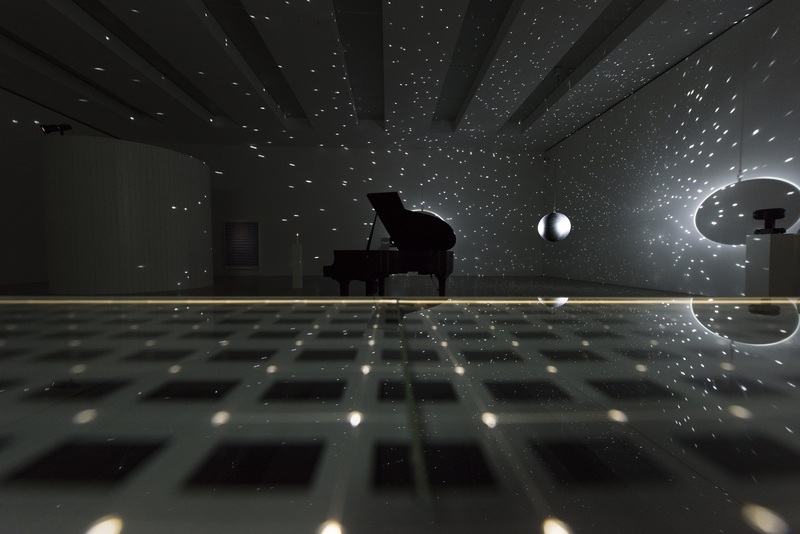 On its return to earth the gaps in the musical score were transposed into a new piece of music, played in the exhibition by an automated piano. The two prints in this room show the Morse code as sent and received from earth. Similarly condensing a monumental concept into a familiar object, Totality, 2016 is a mirror ball comprising nearly every solar eclipse documented by humankind. Totalling over 10’000 images, these eclipses come together to reflect animations of the progression of an eclipse across the room, from total to partial eclipses and mirroring the sequence of the sun eclipsed by the moon.